There are times when you feel your head is too heavy with pain to concentrate on any work. Headaches can be really annoying and the whole feeling becomes a trauma if you are suffering from migraine. There are many medicines available in the market which can give you momentary relief from headache but the pain comes back after a while. Also, many of these medicines can be addictive for people who suffer from frequent headaches. Acupressure can be an excellent remedy for headaches as it is beneficial for all kinds of body pain. If you are suffering from throbbing headache, sit in a quiet place and practice acupressure for 15 minutes to get relief from the most acute headache. But, before we tell you the ways to get relief from acupressure, make sure to get a checkup from doctor for any type of chronic illness. This therapy works on the pressure points in our body to relive the muscle tension and increase blood flow on the specific part of body. Acupressure has been practiced from centuries and there are no side effects of this therapy. 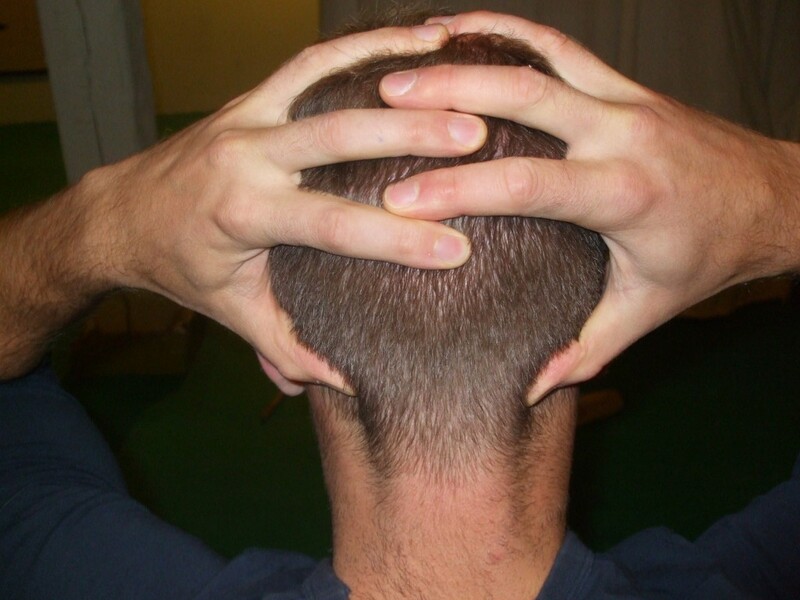 If you are suffering from headache, Feng-Chi Acupressure can relieve you off the pain in just a matter of few minutes. You can do this therapy in standing position, sitting on chair or lying on the back. Find the depression on the base of your skull by using your thumbs. Once you get right point, put slight pressure in circular motions. Once you feel comfortable with the pressure, hold that point for few seconds and then release. Keep doing this for 5 minutes while keeping your eyes closed and concentrating on the movements of your thumb. This is one of the best ways to get instant relief from headaches. You can also do the same on the left and right side of your forehead to get relief from head ache. This acupressure technique may take some time to give show results. Your hands have specific pressure points which can help you get rid of the pain from different parts of the body. To practice Ho-ku Acupressure, use your right hand thumb to massage the pressure point on the left hand which is located where the thumb and index finger meet. You might feel a pinching sensation while following this acupressure method. Keeping massaging it in a circular motion for 2 to 3 minutes. Acupressure is the best therapy if you want relief from any kind of body pain. The best part of this healing method is that it can be repeated many times in a day. But, to get effective results, you need to focus on the specific pressure points of your body. Always take deep breaths while performing acupressure on your body. Stop immediately if you feel strong pain when you put pressure on certain point. Try focusing on finding the pressure point to get the maximum benefit. If the headache remains, consult the doctor immediately. Often the stress in our lives leads to headache and many other health problems. Instead of popping pills, try practicing acupressure as it doesn’t have any kind of side effects. Do try these simple acupressure techniques to get relief from headache and stress from your body. 20 Smart Kitchen Hacks To Make Your Regular Life Easier! 3 Quick And Easy Ways To Whiten Your Teeth Naturally! Earthenware – An Ancient Way Of Cooking Healthy Food!